Disney is, in fact, a lifestyle. We see the movies, visit the parks, watch the programs, and raise one another up, it even bleeds into our wardrobes. Disney is not, nonetheless, a life. There must be things, places, people, and experiences beyond Disney that make us who we are, complete with lines that are not blurred or crossed otherwise a passion becomes all-consuming. These are thoughts I have been dwelling on for a while now, the lines and the things that are acceptable in life away from Disney. I understand that when I wear a shirt with Mickey Mouse on it my preschoolers are going to ask me if I am going to Disney World today (if only). I recognize that not everyone shares my unabashed joy of Disney and that when I bring Disney up in conversation I will receive ‘looks’ from time to time. I even accept that, occasionally, I get asked a trivia question about something related to Disney just so that I can ramble off an answer and people can snicker at me behind my back. What frightens me, however, is that a few weeks ago my wife beat me to the punch. I have mention before what an amazing woman my wife is when it comes to Disney. She enjoys the trips, some of the music, the films make her laugh and cry at all the right places, and she puts up with my continuous droning and writing as best she can. Aileen also enjoys good food, which is why for our next trip, which begins two months from today, I allowed her to select a majority of the restaurants. This not only was my symbolic ‘thank you’ it also gave her ownership of part of the trip. This time she was not just a tag-along on one of my adventures. But then, then, she began quoting facts and figures for things other than restaurants and even became incensed when listening to a podcast (which shall remain nameless here) and a listener’s email was answer incorrectly. That quiet wrath was quickly turned to me as the words, “I shouldn’t know that,” spilled from her beautiful lips. It was, in this moment, that I realized somewhere I had jumped over a line I never even knew was there, that separation of life and Disney. 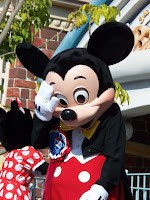 It has become a joke around my house now, the ‘I shouldn’t know that’ moments, but my wife has relinquished control of the trip, minus her dining selections (which are all first rate), and I have exercised a little more caution as to when Disney is an acceptable topic in my house. I love that my wife is showing an interest in my interest, but my passion should not be hers. I fell in love with her because she was unique, not because we were destined to become carbon copies of one another. So, where are these lines, rules, guides that tell us what is acceptable to share with a non-Disney obsessed family member or friend? What stipulations do these guidelines give for trivia etiquette? Is there a time limit that you are allowed to speak on Disney before having to move on to another subject? I don’t have all of the answers, heck, I don’t even have all of the questions, but I do know this one thing: A relationship with Disney is just like any other relationship (father-son, wife-husband, neighbor-neighbor), it takes a lot of work and requires balance. Remember this the next time you hear some Disney world-shattering news and take off like a bolt into the next room. Was there an invisible line in that doorway that you crossed over? See, here's how I handle that in my house. If I have to hear about all the great changes between Dungeons and Dragons 4ed from 3ed, he can listen to me natter on about the tragedy of The Adventurer's Club closing. What an interesting post. I haven't quite made it to that level yet (as I am not living with my other half yet! ), but I can understand the situation. Far too often I'll tell him about something Disney and he'll politely listen, but then he does the same with me and his Zelda game... But we need to watch out for that line! 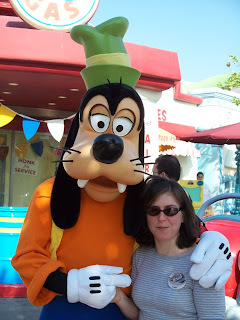 I went to Disney with an ex-girlfriend and she really did not care to hear my knowledge and factoids. I even pointed out Hidden Mickeys! I guess I've been lucky because most people I talk to Disney World about get really into it. so she was mad that she knew something? i view it differently...when you enter into a husband-wife close relationship with someone, you are bound to get involved in each other's interests. my wife is slowly learning about disney stuff, and (since she is a nurse) i have slowly been learning about medical stuff and can sometimes carry a conversation with her about her stuff. it is part of growing together that should be enjoyed...not something one should be mad about.